January 25, 2019, saw the end of the longest government shutdown in American history. For 35 days, hundreds of thousands of federal employees worked without pay or did not work at all. A quarter of the federal government was affected. All of this was massively consequential for the country’s daily operations, the lives of its citizens, and its economy. Despite the disruptions, there were no hazmat-related disasters. This is because the Department of Transportation (DOT) drafted and set into motion a shutdown plan, determining how eleven administrations will operate during the lapse in funding. This plan enabled the DOT to continue conducting hazmat inspections during those 35 days – but at a cost. 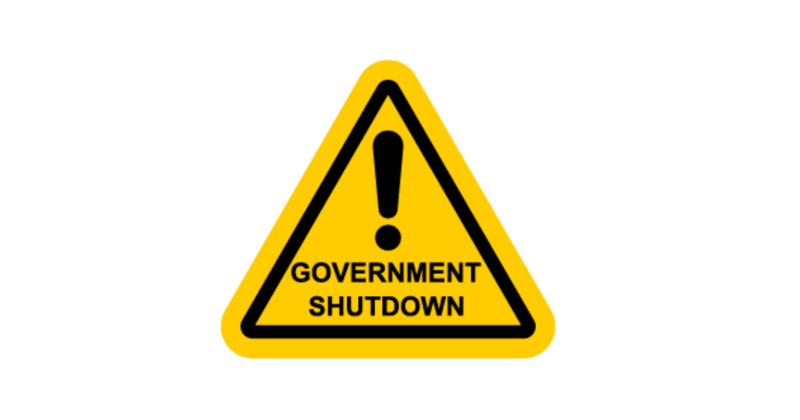 Here’s a look at the impact of the 2018-2019 government shutdown on hazmat inspections. Even with this plan, the DOT was unable to provide for all of their employees during the shutdown. Many of the DOT’s hazmat workers were among the 350,000 government employees with jobs deemed “nonessential,” who were furloughed during this period. Those who had to stay were among the 450,000 government employees with “critical” roles, who had to perform their duties with delayed pay. Of the Federal Aviation Administration’s (FAA) almost 45,000 staff members, about 18,000 were told not to report to work. As for the Pipeline Hazardous Materials Safety Administration (PHMSA), more than half their workforce – 285 out of 563 – were given temporary leave. That meant fewer people performing hazmat inspections for a whole 35 days. As a result of these staff shortages, specific DOT programs and activities were halted until the resolution of the shutdown. Among other activities, the FAA suspended “facility security inspections, evaluations, audits, and inspections.” Meanwhile, the PHMSA halted their hazmat programs for research, program development, rulemaking, approvals and permits, and “special investigations.” While all these activities are important, the DOT figured they could go without them temporarily. With that said, they knew they could not go without hazmat inspections. Even with the temporary reduction of their workforce, the FAA and PHMSA both continued conducting these safety inspections of shippers, carriers, and facilities. Making sure that all parties in the transport process are complying with regulations is vital. These federal laws must be enforced, even when the federal government is partially closed. Of course, after January 25, all the furloughed employees returned to their positions, and operations resumed as usual. The longest shutdown in American history may be over, and everything may seem back to normal. The impact of the 2018-2019 government shutdown on hazmat inspections also should factor in the impact on FAA workers. How many are now considering moving to the private sector or taking an early retirement? The lingering effects of the shutdown can impact the industry in many immeasurable ways. The funding measure that ended the shutdown will only keep the federal government open until February 15. At this time, what happens before then remains uncertain. What is certain is that the DOT will be prepared, and hazmat workers will be there to keep the country safe during an unstable time. In order to prepare for FAA inspections, both during and between government shutdowns, hazmat employees must understand and adhere to regulations. In order to understand and adhere to regulations, they need training. Hazmat University provides training in shipping by ground, shipping by air, shipping by vessel, or multimodal shipping. We have courses for both initial and recurrent training, and all of them are completely online for your convenience. Sign up today, and you will be able to start immediately. What’s All the Fuss with the Package?